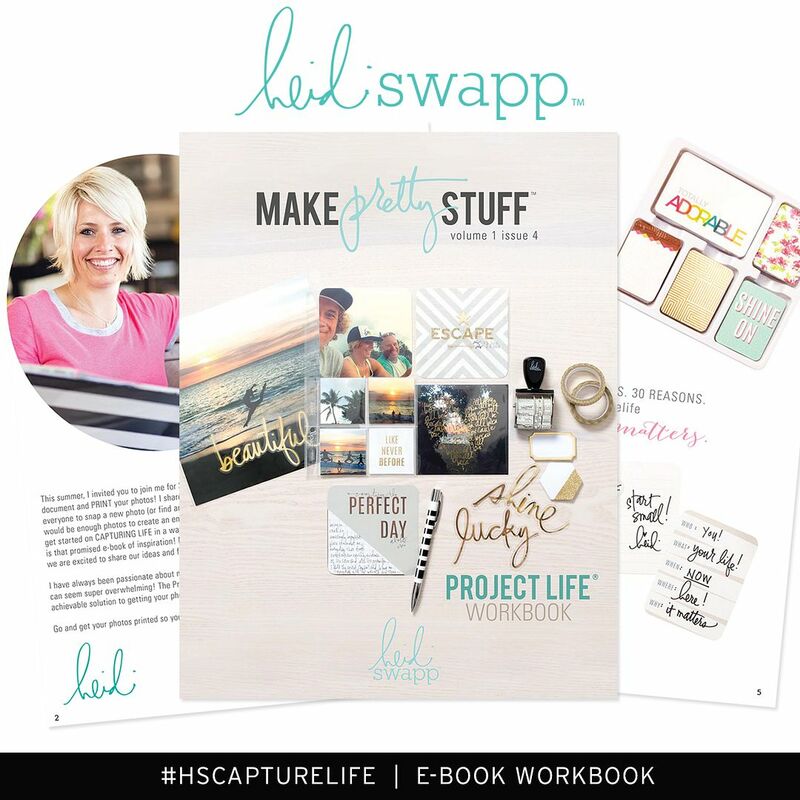 Hello and we are back with Project Life 2014. Feb starts on the right side of the album, so a single page if you will. As my approach to memory keeping is always a priority in my life, the format itself seems to ebb and flow a bit. which is o.k. with me. I have to change things up a bit every once in a while. supplies: Chic Tags Good Tidings Icons. One Little Bird Calendar Cards. 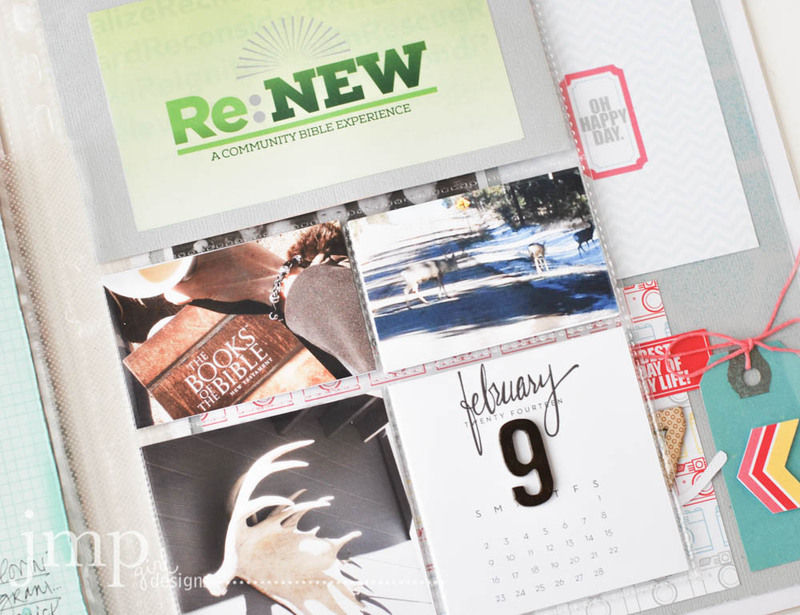 Heidi Swapp: Clear Stamp Big Day; Best Day Ever; DCWV Striped Mat Stack; Project Life Black Journaling Pens. So for the first week of Feb (week6) I focused on the snow and cold. Remember when the U.S. was socked in with frigid temps? Well, this was that week, and we had it too. I am sort of weird about snow photos...so I simply made the whole week about those photos. Week7 is a couple of pages of life going on. This was the weeks of great sickness in my life...LoL...and so the photos are also limited. But from my view from the sofa I was able to grab a few and document. Also included on the right side is a traditional layout that I posted here. 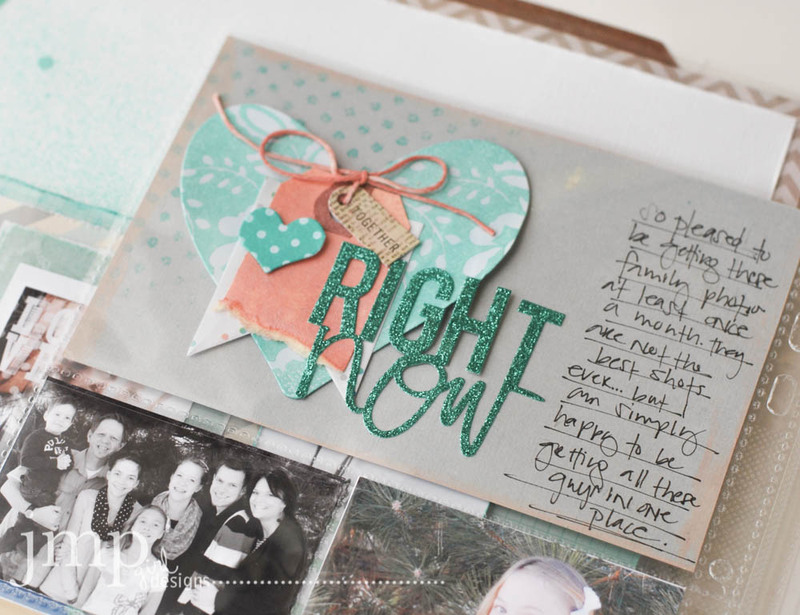 supplies: Maggie Holmes Flea Market Chipboard. 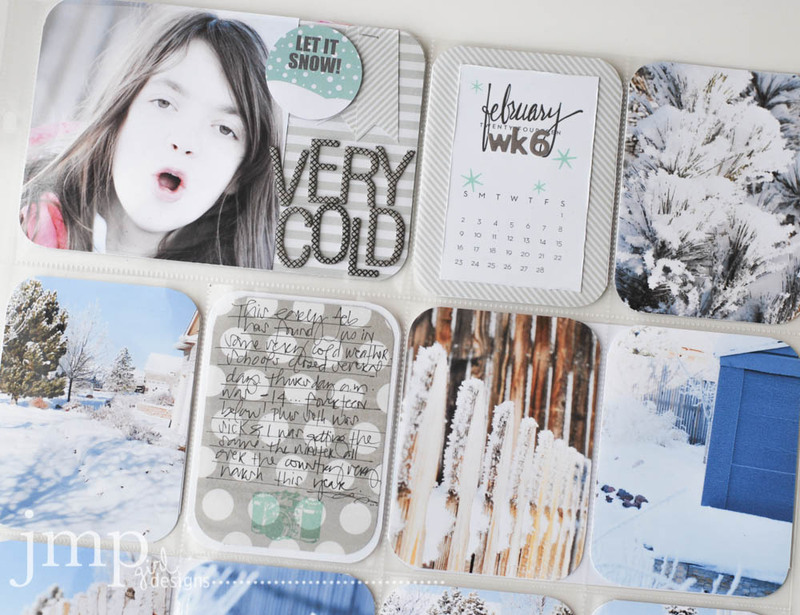 Heidi Swapp Hello Today 4x6 Mat Pad. Studio Calico Kit 6x6 paper (my stash). jmpgirl designs die cuts: heart; love. Heidi Swapp Mixed Company Ephemera. 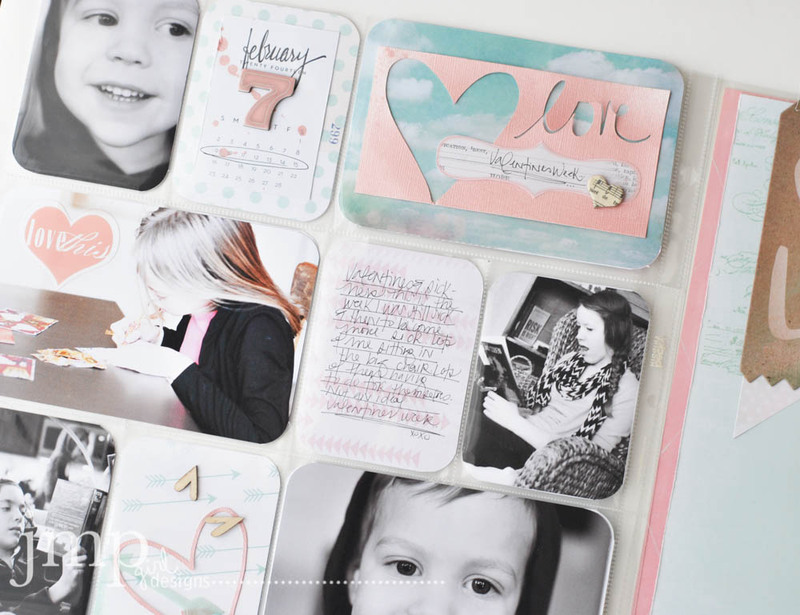 Heidi Swapp Dreamy 6x6 Paper Pad. 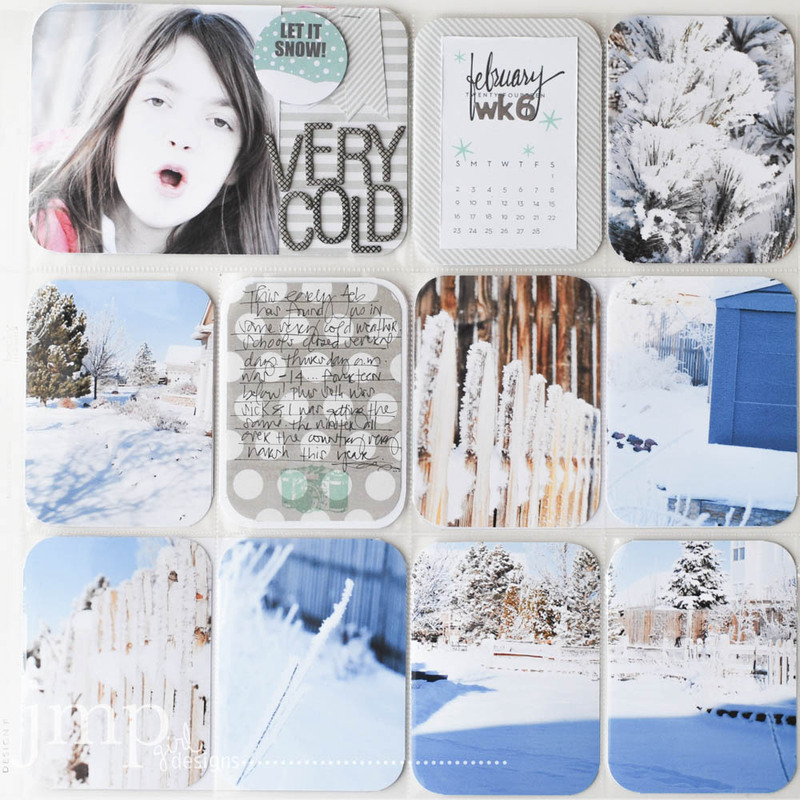 Heidi Swapp Mixed Company 6x6 Pad. Studio Calico Heart Wood Veneers. 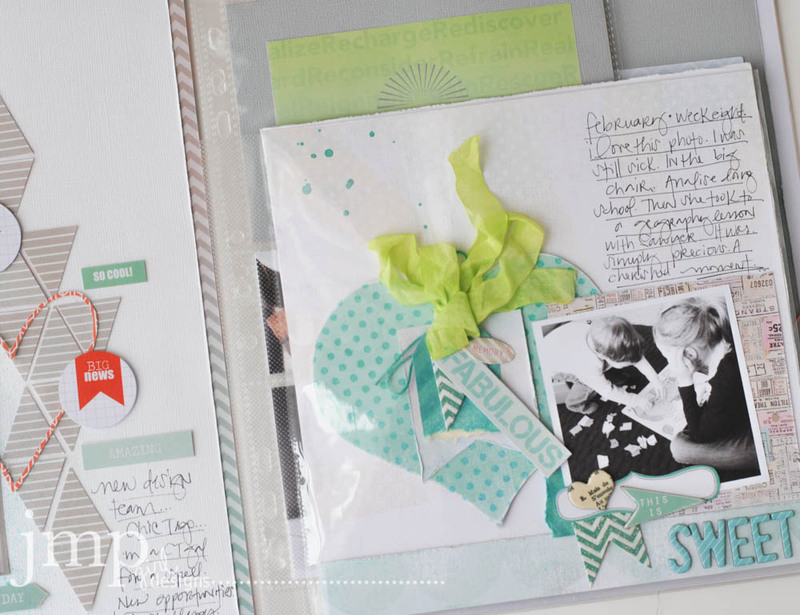 Week 7 continues and includes the traditional page I did for my first Chic Tags assignment. The right side is an 8x8 layout telling more of the story of what went on while I was sick. 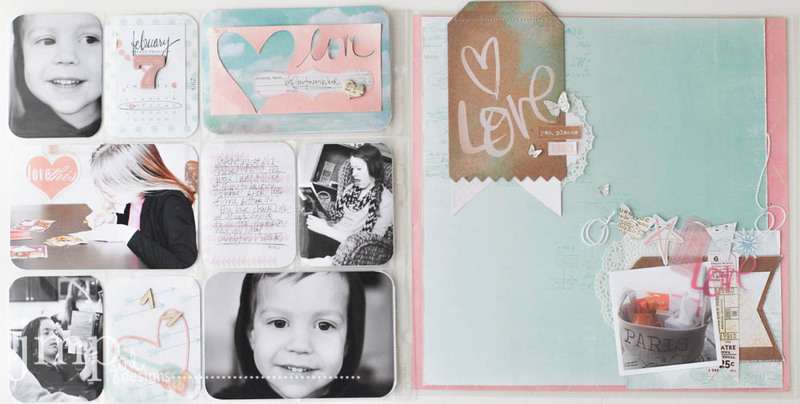 supplies: Heidi Swapp: Dreamy Dreams Come True Paper; Dreamy 6x6 Paper; Stencil Set Heart; Stencil Set Brackets; Sugar Chic Banner Delights; Vintage Chic Mini Tags; Dreamy Word Jumble Stickers; Serendipity Tab Stickers; Hello Today Chipboard Stickers; Color Magic Resist Alpha; Color Shine: Citron; Mint; Teal. 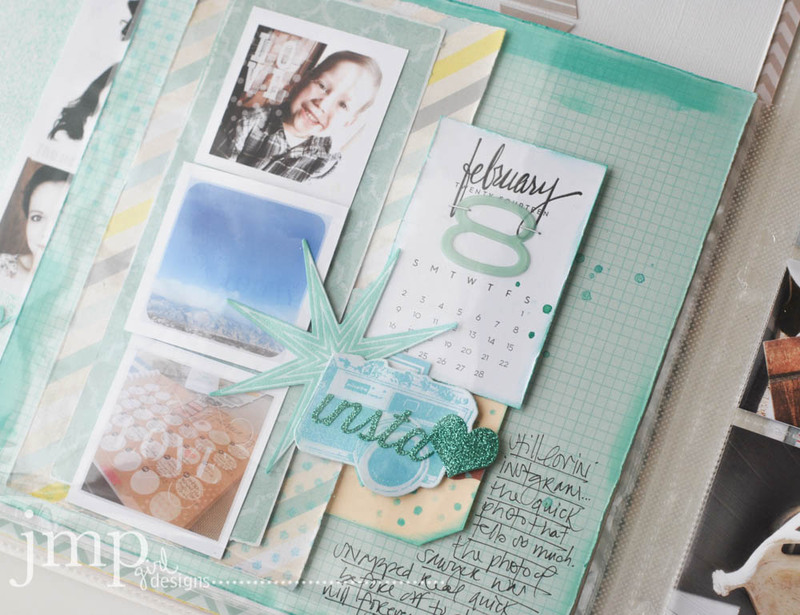 I will share details of this 8x8 layout in another post. As this moves into Week 8, I am still recovering from this illness. It just would not let me go. 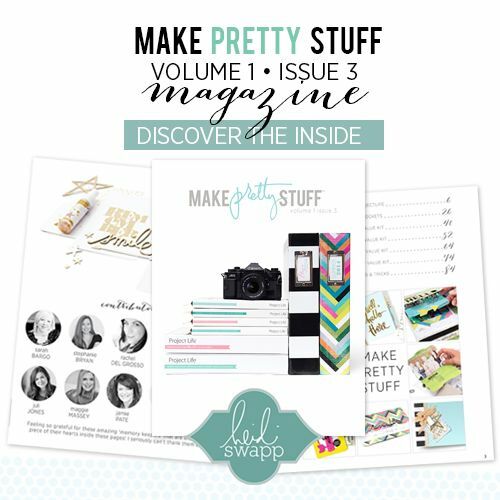 supplies: Heidi Swapp: Paper: Mixed Company, Sugar Chic, Serendipity; Color Magic Paper Goods; Hello Today Glitter Stickers Teal; Clear Alphas Teal; Color Shine: Mint, Teal. So here again, photos were really at a minimum. But what I do love about these three little instagrams that I printed here for the page, is how much story that they do tell. The power of photos. 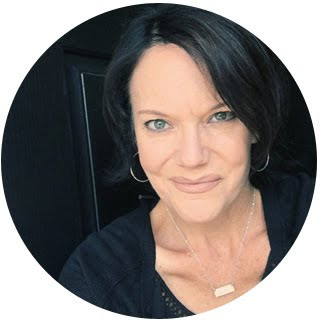 The power of photos and the written word. Week 9 is the introduction to our Community Bible Experience we are apart with some families from our church. This has become a very meaningful activity for us and I am happy to have captured it's start with these random photos where we met that first week. No products were used here save for a piece of card stock and a Thicker number to signify the week on the One Little Bird Calendar Card. You can see I utilized several different sized pocket pages this month. Just really trying to use what is in my stash. Plus again, changing up the format a bit. 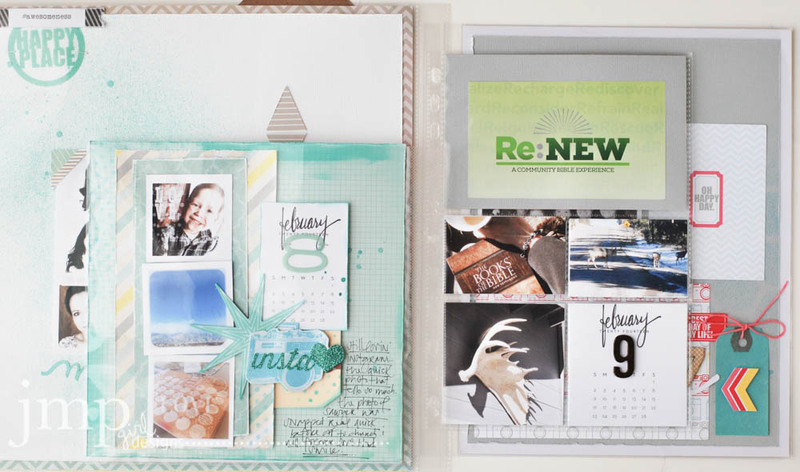 The left side pocket pages utilize the same supplies as above. Lots of Heidi Swapp as I was keeping this month cohesive with colors. 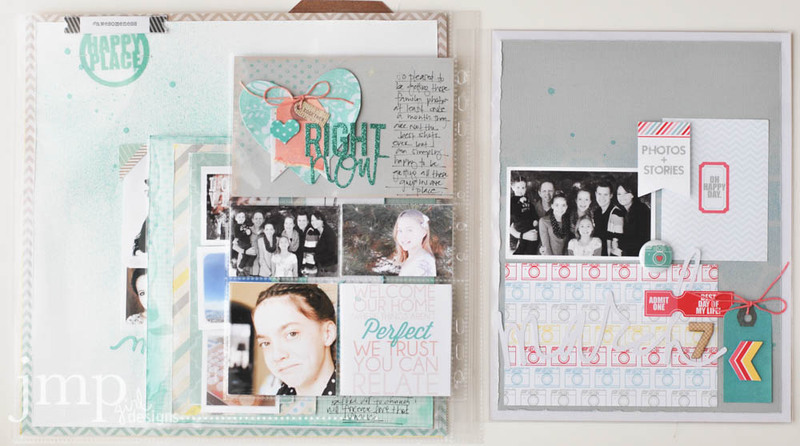 The pockets include a family photo that has become my big priority once a month this year. (for us...that's an big accomplishment). The right side 8 1/2 x 11 traditional layout was part of a Chic Tags assignment and is my title page for our March weeks. Details can be found here for that layout. Love this process. It is definitely a work in progress. But it can be as simple or complicated as one makes it. This month I think was a combination of simple and complicated both. And I really love that mix up. Your work is absolutely beautiful. 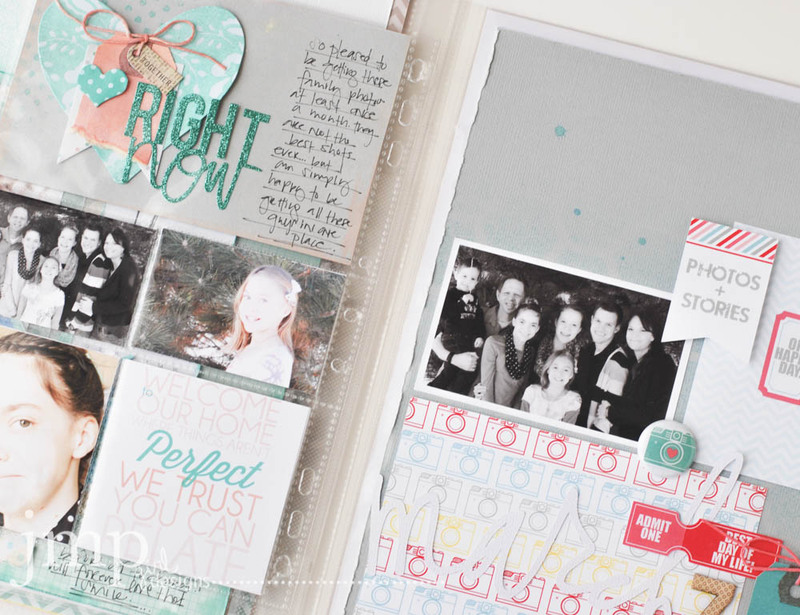 I love how you're combining your PL and traditional pages. Very inspiring! so soft & visually appealing. Bless you as you reNew.